I don’t like horror movies – or at least I don’t like the large majority of horror movies. Suspense I can handle, gore and jump scares either make me sick or just bore me … sometimes both. I don’t know, most of the straight horror movies are just the same thing over and over until a style comes from over seas (The Ring, for instance) and Hollywood starts making that movie over and over. One of the reasons I enjoy the horror comedy genre is that it can keep that classic horror attitude while not being above poking fun at itself. Zombie comedies seem to be particularly good at this, which is why Shaun of the Dead and Zombieland are two of my favorite movies of the last decade. 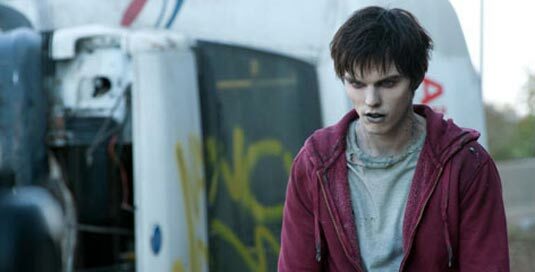 So even before I saw the trailer for Warm Bodies, my interest in it was already there. But the trailer … well, take a look. Anyone else think this looks adorable? I’m a fan of Nicholas Hoult, so seeing him in more stuff is always good. Rob Corddry is good too and this looks like something out of his comfort zone, comedy-wise. Plus, one of the girls I actually liked from America’s Next Top Model is playing the girl’s best friend, so that’s pretty cool (no really, I wanted her to win her season so I’m glad she’s getting work). The funny thing is that the only thing this trailer reminded me of was this short story I read a few years ago online — it’s about a zombie who’s kind of conscious in the same way the film’s protagonist is at the beginning of the trailer. He ends up meeting a girl zombie and they fall in love and while they never get “better” like in the movie, they do end up walking the earth together until their bodies completely fall apart. It’s a really sweet story actually. So the funny part of that? Turns out the movie is based on a book which was adapted from the short story I read. This comes out in February (right after Valentine’s Day, appropriately) and it’s looking to be the first movie I’m really anticipating for 2013 outside of Iron Man 3 … even if one of the promotional posters for it looks suspiciously Twilighty.